Monchhichi are back and hopefully here to stay. 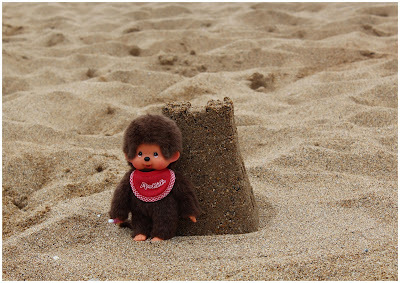 Monchhichi are huge in Japan but with the help of Bandai they're set to take the UK by storm. 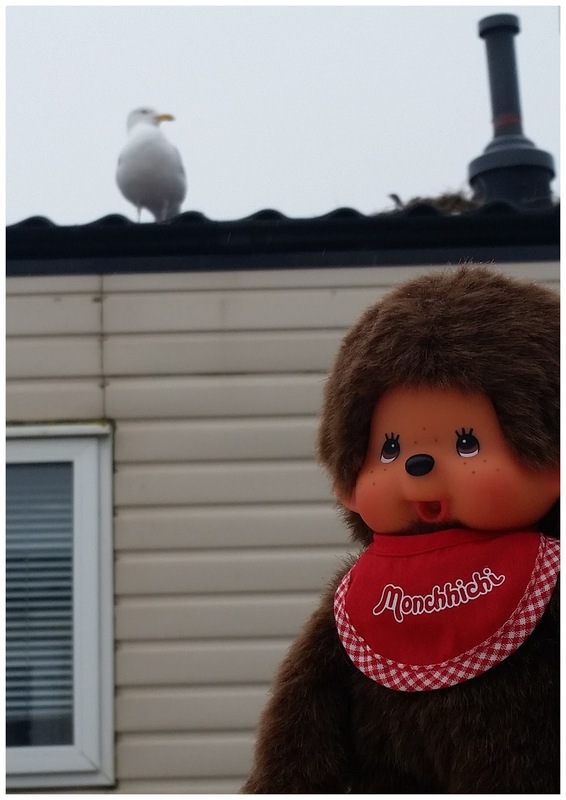 Our Monchhichi "Molly" (named by my 8 year old daughter) joined us last week just in time for out Half Term Holiday to Dorset. Day 1: She hung out with the Seagulls on the balcony. I think she made a new friend. I didn't let her stay out there too long in case the Seagulls tried to take her away. Day 2: She had fun building sandcastles on the beach in West Bay, Dorset. The sand was a little stoney but with a little sea water, she managed to build a beauty. Day 3: She played out in the fields picking daisies and gazing up at the clouds. The sun was shining so she stopped for a spot of sunbathing whilst she was there too. Day 4: It rained so she had to stay indoors but all wasn't lost as it was games day. She played Snakes and Ladders and won after a few rides down the snakes. 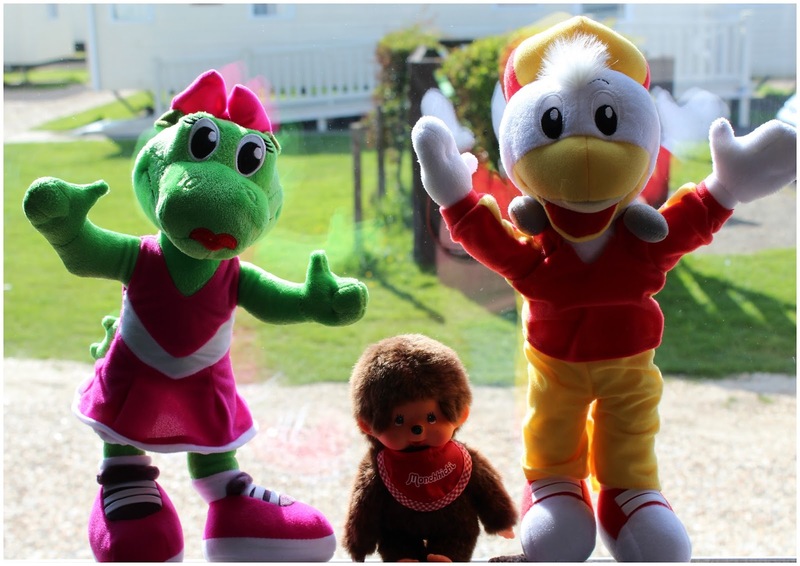 Day 5: She made some more new friends, Sid the Seagull and Lizzie the Lizard. Sid and Lizzie lived in Park Dean which is where we were staying. 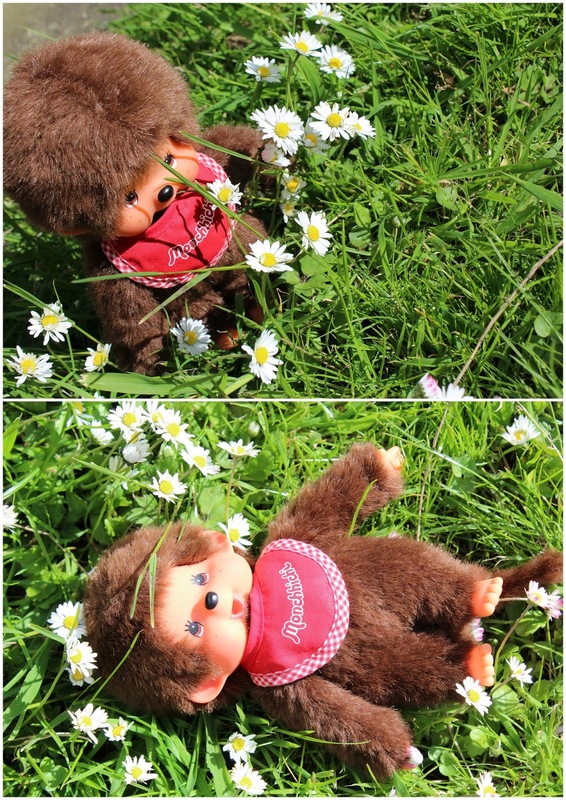 Our Monchhichi Molly had a fantastic week out in the sunshine. She made lots of new friends and got to play lots of games with the family. 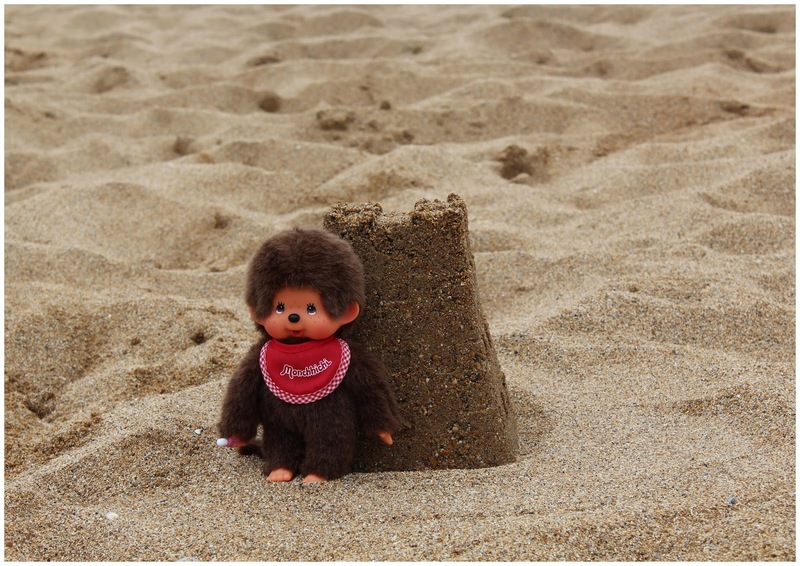 She learnt how to build sandcastles and paddle in the sea. She also learnt how to sunbath and pick daisies. We've all had a wonderful Half Term and are so glad Molly our Monchhichi got to join us. 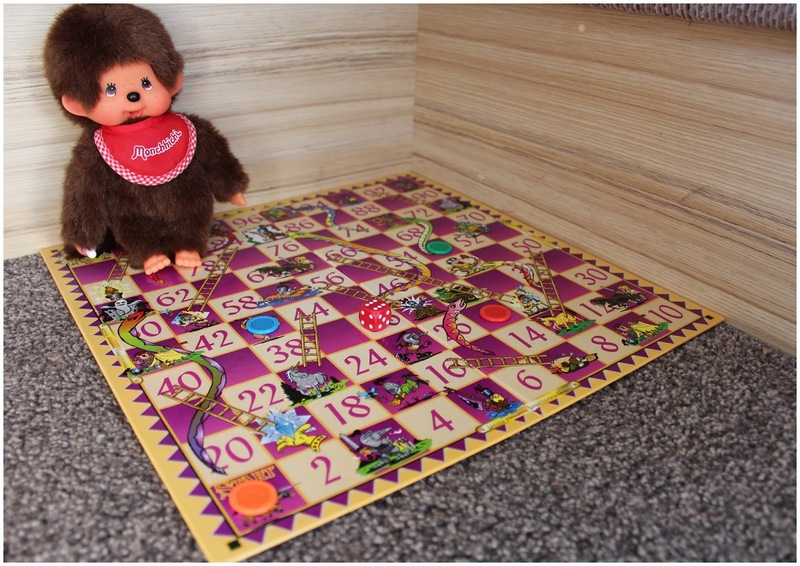 Monchhichi are now available in the UK from Argos and the Entertainer. My day out at the Birmingham Baby Show.